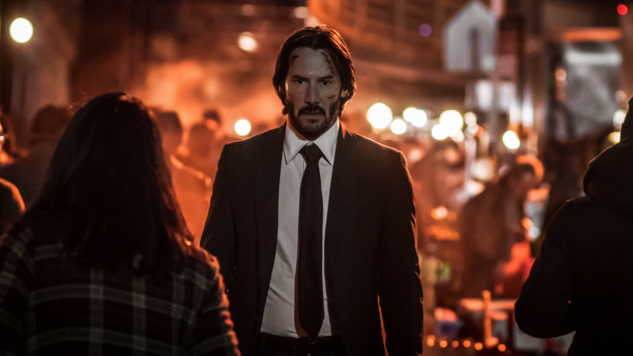 After two movies and a few hundred bad guys, John Wick is back, again. Announced via the official John Wick Twitter account, John Wick 3 will release exactly a year from today on May 17, 2019. The announcement is pretty lean on information and the only visual we are given is a pretty moody gif that is 100 percent smoldering Keanu. Last Wednesday, the cinematographer working on John Wick 3, Dan Lausten, released an on-set photo of Keanu Reeves via Instagram, taken in what seems to be the rain-drenched, neon streets of New York City’s Chinatown. The film picks up right where the second one left off, with John Wick on the run from every assassin in New York—it is up to him and his precise set of skills to survive through it all. One can only hope that John Wick will find peace at the end because, if anyone could use a good night’s rest, it is that incredibly gruff hitman. See Lausten’s Instagram post below and find out more about John Wick 3 here.